When she thinks about all that she’s been able to accomplish since coming to the medical school more than two years ago, three significant milestones come to mind for Dr. Debra Taubel. She arrived in Kalamazoo in October 2016 tasked with founding the new Obstetrics and Gynecology residency program at WMed. Just seven months later, the pieces were in place and the inaugural class of four residents came aboard last July. 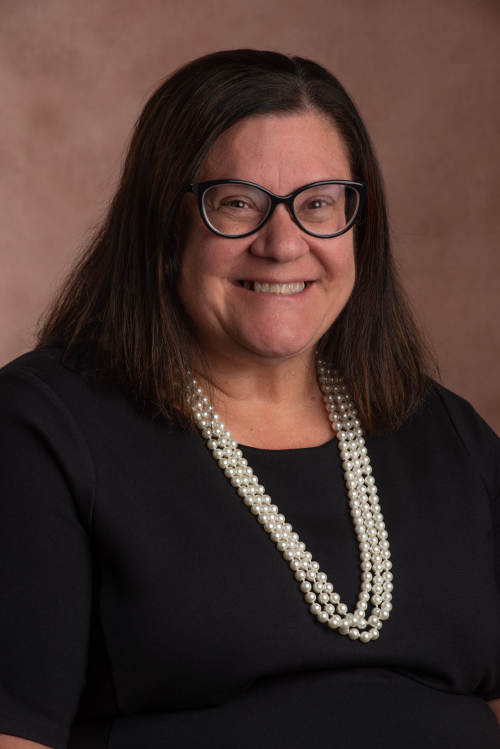 Now, Dr. Taubel is preparing to take on a new challenge as she has been named the new chair of the Department of OB-GYN, effective April 1, 2019. She replaces Dr. Robert Rebar, who is stepping down as founding chair of the department on March 31, 2019, following a five-year stint in that role. “Dr. Taubel is very experienced,” said Dr. Rebar, who will remain a member of the medical school faculty and continue with his commitments as a Scholar-Advisor and teaching in the OB-GYN residency program. Indeed, her new role is one for which Dr. Taubel is well-suited. Prior to coming to WMed, she built an impressive resume as a physician and educator. She's a Fellow of the American College of Obstetrics and Gynecology and a member of the Association of Professors of Gynecology & Obstetrics. She earned her MD degree in 1995 from the State University of New York Downstate College of Medicine and then completed a four-year residency in OB/GYN at St. Luke's Roosevelt Hospital Center. Later, she spent 17 years at Weill Cornell Medical School/New York Presbyterian Hospital in New York City, where she was the departmental Vice Chair for Education, Clerkship Director, and Associate Program Director. As department chair, Dr. Taubel said she has several goals that she hopes to accomplish in a short period of time. She said she wants to continue to work closely -- and collaborate -- with Kalamazoo’s two teaching health systems – Ascension Borgess and Bronson Healthcare – to integrate the growing OB-GYN residency program into each hospital’s medical practices. At the same time, she wants to reinforce the role the department and residency program play as a community partner in improving women’s health and women’s access to quality health care. Lastly, Dr. Taubel said it is important to continue building strong relationships with community organizations in Kalamazoo that focus on the importance of maternal health, such as Cradle Kalamazoo and Kalamazoo County’s Fetal Infant Mortality Review. As all of that work remains a focus, Dr. Taubel said the OB-GYN practice at the Oakland Drive Campus will continue to grow, as will the residency program with the acceptance of each new class of resident physicians. The program is set to accept its second class of residents in July and the program will include a total of 16 residents once it’s operating at full strength. For the 2018-19 academic year, Dr. Taubel said the department has already tallied more than 100 deliveries that have either taken place or will be delivered in the near future. Additionally, physicians are taking on two to three cases per week in local operating rooms and the appointment schedules at the Oakland Drive Campus are booked. Meanwhile, the addition of urogynecology care under the leadership of Dr. Melinda Abernethy has been very successful and Dr. Abernethy is performing 20 to 30 surgeries per month. Going forward, Dr. Taubel said she wants to be strategic about how the Department of OB-GYN will seek to expand services to bolster comprehensive maternal and prenatal care in the community.